Every day, your brand's biggest fans share stories about your products online. Connected customers now generate more than half a trillion impressions about products every year. Their influence on friends and followers is profound. Customers love to engage with brands, but the direct connection between social, UGC and shopping is not clear. Pre-purchase research takes place on social networks, but brands are not actively engaged in this process. Unclear connections between social content conversions, and siloed social media and e-commerce systems. Content Cloud is leading the charge with innovative retailers to change the way shoppers engage with products and user-generated content while shopping. By enabling store associates with mobile-ready content to deliver to customers on-demand, and by equipping shoppers with access to engaging product-focused user-generated photos and videos, your customers will have a positive in-store shopping experience that drives more sales. With Content Cloud, marketers can empower in-store content experiences that engage and convert, leading the way to a new retail paradigm. 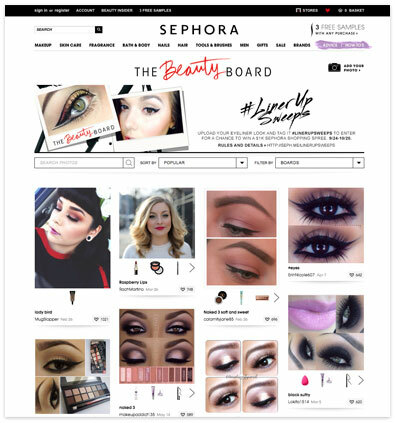 Sephora gives their customers the opportunity to upload, share, and tag the products they used to create their look, linking content to commerce. Content Cloud is leading the charge to change the way shoppers engage with physical products and online assets while in store. 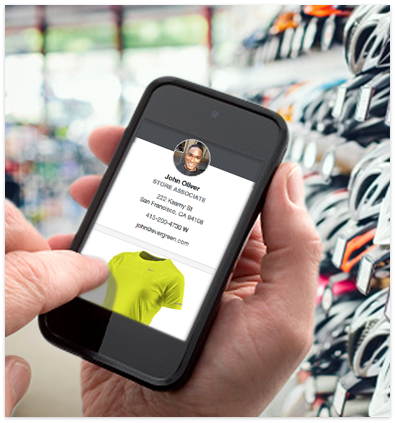 By enabling brick & mortar employees with effortless curated content, such as UGC product reviews, 3rd party product ratings, and product specs that can be texted or emailed directly to customers, marketers can empower in-store content experiences that engage and convert, leading the way to a new retail paradigm. Thismoment Content Cloud enables in-store reps with Content On Demand by texting customers playlists with store associate contact information, curated customer reviews, and further digital information.